Farklı kurumsal bağlamlara (ör. ekonomi, toplum ve kültür) sahip olan ülkeler, insanlarını iş gücü piyasasına hazırlamak için farklı beceri rejimlerini takip ederler. Ülkelerin beceri gelişiminde benimsediği yaklaşımları inceleyen zengin bir literatür bulunmaktadır. İlgili literatürden yararlanarak, bu makale, ülkelerin beceri gelişim sistemlerini şekillendirirken benimsedikleri farklı yaklaşımları ele almaktadır. Makale, üç ülkede (Almanya, Japonya ve Türkiye) mesleki eğitim sistemlerinin özelliklerini incelemektedir. Bu ülkeler mesleki eğitim sistemlerinin yönetilmesi ve finanse edilmesi, spesifik becerilerin gelişimine odaklanma ve mesleki eğitim sisteminin toplumdaki statüsü/algısı gibi çeşitli temalara göre karşılaştırılmıştır. Çalışmada öne çıkan önemli bir nokta incelenen üç ülkenin üç farklı beceri rejimini temsil ettiği şeklindedir. Almanya’da mesleki eğitim sistemi tüm sosyal paydaşların dahil olduğu ve işbirliği içinde hareket ettiği uzlaşmaya dayalı bir yaklaşımla yönetilmektedir. Öte yandan Japonya’da, firmaların bireyleri eğitip istihdam ederken farklı stratejiler geliştirdiği ve tüm sosyal paydaşların katılımını gerektirmeyen daha firma-odaklı bir mesleki eğitim sistemi bulunmaktadır. Türkiye’nin de Japonya ve Almanya ile benzer özellikler gösterdiği noktalar olsa da, mesleki eğitim sisteminin şekillenmesinde devlet daha güçlü bir rol oynamaktadır. Having different institutional contexts (e.g. economy, society and culture), countries follow different skill regimes to prepare their people for the labour market. A rich body of literature examines the different characteristics of countries’ skill regimes. Drawing on the related literature, this paper introduces varieties of skill regimes in a classification of countries’ different approaches in shaping their skill systems. This is to capture the specifics of institutional variety that shapes differences in an economic organisation including skill development. The paper focuses on examining the characteristics of the vocational education and training (VET) systems in three countries: Germany, Japan, and Turkey. It compares the systems in these countries according to several themes including governance and financing of VET, skill specificity, and status of the VET system. The paper shows that three countries represent three different types of skill regimes. In Germany, VET performs in a consensus-led approach that entails coordination and cooperation of all social partners while shaping the VET system. Japan, on the other hand, has a firm-based VET system that depends on firms’ specific and different strategies in training and employing individuals. Despite sharing some similar characteristics with these two countries, Turkey is categorised as having a state-led VET system in which the state plays a dominant role in shaping the system. Acemoğlu, D. & Pischke, J. S. (1998). Why do firms train? Theory and evidence. The Quarterly Journal of Economics, 113(1), 79-119. Allmendinger, J., (1989). Educational systems and labour market out-comes. European Sociological Review, 5(3), 231-250. Ashton, D.N. & Green, F., (1996). Education, training and the global economy. London: Edward Elgar. Bosch, G. & Charest, J., (2008). Vocational training and the labour market in liberal and coordinated economies. Industrial Relations Journal, 39(5), 428-447. Brinton, M.C. & Tang, Z., (2010). School–work systems in post-industrial societies: Evidence from Japan. Research in Social Stratification and Mobility, 28(2), 215-232. Brown, P., Green, A. & Lauder, H., (2001). High skills: Globalization, competitiveness, and skill formation: globalization, competitiveness, and skill formation. OUP Oxford. Buechtemann, C.F., Schupp, J. and Soloff, D., (1993). Roads to work: school‐to‐work transition patterns in Germany and the United States. Industrial Relations Journal, 24(2), 97-111. Busemeyer, M.R., (2009). Asset specificity, institutional complementarities and the variety of skill regimes in coordinated market economies. Socio-Economic Review, 7, 375-406. Busemeyer, M.R. & Trampusch, C. eds., (2012). The political economy of collective skill formation. Oxford University Press. Crouch, C., Finegold, D. & Sako, M., (2001). Are skills the answer? : the political economy of skill creation in advanced industrial countries. Oxford University Press. Dogan, M.K. & Yuret, T., (2015). Üniversitelere yerleşmede farklı katsayı uygulamasının etkileri. Ankara Üniversitesi SBF Dergisi, 70(1), 195-220. Dore, R.P., (2000). Stock market capitalism: Welfare capitalism - Japan and Germany versus the Anglo-Saxons. Oxford, Oxford University Press. Dore, R.P. & Sako, M., (1989). How the Japanese learn to work. Routledge. Edwards, T. & Kuruvilla, S., (2005). International HRM: national business systems, organisational politics and the international division of labour in MNCs. The International Journal of Human Resource Management, 16(1),1-21. Graf, L., (2013). The hybridization of vocational training and higher education in Austria, Germany, and Switzerland (p. 302). Budrich Uni-Press. Hall, P.A & Soskice, D.W., (2001). Varieties of capitalism: The institutional foundations of comparative advantage. Oxford: Oxford University Press. Hassel, A., (2007). What does business want? Labour market reforms in CMEs and its problems. Beyond varieties of capitalism: Conflict, contradictions, and complementarities in the European economy, pp.253-277. Houwing, H., Maarten K., Philippe P. & Kurt, V. (2011). Comparing flexicurity arrangements in Belgium and the Netherlands. In A Handbook of Comparative Employment Relations, edited by Michael Barry & Adrian Wilkinson, pp. 260-285. Cheltenham: Edward Elgar. Hummelsheim, S. & Baur, M., (2014). The German dual system of initial vocational education and training and its potential for transfer to Asia. Prospects, 44(2), 279-296. Kariya, T. (1999). Transition from school to work and career formation of Japanese high school students. In international perspectives on the school-to-work-transition, ed. D. Stern and D.A. Wagner, 273–309. New Jersey: Hampton Press, Inc.
Koike K., (1997). Human resource development. In: Japanese Economy and Labour Series, no. 2, Japan Institute of Labour, Tokyo. Kosugi, R. (2007). Influence of diversified employment on the initial career of higher education graduates. In Competencies, higher ed-ucation and career in Japan and the Netherlands, ed. J. Allen et al., 149–164. Dordrecht: Springer. Lauder, H., Brown, P. & Ashton, D., (2008). Globalisation, skill formation and the varieties of capitalism approach. New Political Economy, 13(1), 19-35. Lauglo, J., (1993). Vocational training: analysis of policy and modes: case studies of Sweden, Germany and Japan. International Institute for Educational Planning. Levy, J., (2006). The state after statism: new state activities in the age of liberalization, Harward Universty Press, p.367. Lloyd, C. & Payne, J., (2004). The political economy of skill: a theoretical approach to developing a high skills strategy in the UK. In Warhurst, C., Keep, E. and Grugulis, I. eds. The skills that matter. Palgrave Macmillan, pp.207-224. Lynch, L.M. ed., (1994). Training and the private sector: international comparisons. University of Chicago Press. MEB (2015). Katsayinin kalkmasi, meslek lisesi tercihini ikiye katladi. Available at: http://www.meb.gov.tr/katsayinin-kalkmasi-meslek-lisesi-tercihini-ikiyekatladi/haber/7936/tr (Access da-te:28.06.2016). OECD (2013). Education Policy Outlook: Turkey. 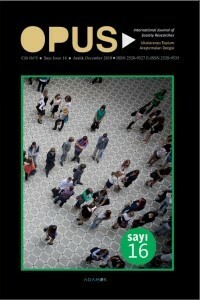 Available at:http://www.oecd.org/edu/EDUCATION%20POLICY%20OUTLOOK%20TURKEY_EN.pdf (Access date:10.06.2014). Phillips, D.& Ochs, K., (2003). Processes of policy borrowing in education: Some explanatory and analytical devices. Comparative Education, 39(4), 451-461. Pilz, M. & Alexander, P.J., (2011). The transition from education to employment in the context of stratification in Japan–a view from the outside. Comparative Education, 47(2), 265-280. Pilz, M., Schmidt-Altmann, K. &Eswein, M., (2015). Problematic transitions from school to employment: Freeters and NEETs in Japan and Germany. Compare: A Journal of Comparative and International Education, 45(1), 70-93. Powell, J. J., & Solga, H.., (2011). Why are higher education participation rates in Germany so low? Institutional barriers to higher education expansion. Journal of Education and Work, 24(1-2), 49-68. Powell, J. J., Graf, L., Bernhard, N., Coutrot, L., & Kieffer, A. (2012). The shifting relationship between vocational and higher education in France and Germany: Towards convergence?. European Journal of Education, 47(3), 405-423. Rubery, J. & Grimshaw, D., (2003). The organisation of employment: An international perspective. Basingstoke: Palgrave Macmillan. Solga, H., Protsch, P., Ebner, C. & Brzinsky-Fay, C., (2014). The German vocational education and training system: Its institutional configuration, strengths, and challenges (No. SP I 2014-502). WZB Discus-sion Paper. Sozen, S. & Shaw, I., (2003). Turkey and the European Union: Modernizing a traditional state? Social Policy and Administration, 37(2), 108-120. Terada, M., (2012). Challenges of vocational education and career education in high schools in Japan–From the viewpoint of career-competency formation for transition. In Pilz, M. (ed) The future of vocational education and training in a changing world, 96-112. Thelen, K. & Busemeyer, M.R., (2012). Institutional change in German vocational training: From collectivism towards segmentalism. In Busemeyer, M.R. and Tramspusch, C. (eds) The political economy of collective skill formation. Oxford: Oxford University Pres. Thelen, K. & Kume, I., (2001). The rise of non-liberal training regimes: Germany and Japan compared. In Streeck, W. and Yamamura, K. (eds). The origins of non-liberal capitalism: Germany and Japan in comparison. Cornell University Press, pp.200-227. Thelen, K., (2004). How institutions evolve: The political economy of skills in Germany, Britain, the United States, and Japan. Cambridge University Press. Thelen, K., (2007). Contemporary challenges to the German vocational training system. Regulation and Governance, 1(3), 247-260. Wagner, K., (1999). The German apprenticeship system under strain. In Culpepper, P.,D., Finegold, D. (eds). The German skills machine: Sustaining comparative advantage in a global economy. Berghahn Books, New York. pp.37-76. Witt, Michael A., (2014). Japan: Coordinated capitalism between institutional change and structural inertia. In Michael A. Witt and Gordon Redding (Eds.) The Oxford Handbook of Asian Business Systems, pp. 100-122. Oxford, UK: Oxford University Press. Whitley, R., (1999). Divergent capitalisms: The social structuring and change of business systems. OUP Oxford.